Depending on whether your home is a flat or house will determine the process required to purchase the freehold of the property, says Peggy Su, RE/MAX London Regional Director. Talking about leaseholders living in flats, she adds that provided they meet the necessary criteria; they have the legal right under the Leasehold Reform, Housing and Development Act 1993 to act together to purchase the freehold of the building they reside in. “A group of leaseholders purchasing the freehold together is known as a collective enfranchisement, and is considered to be the more formal way of obtaining the freehold,” says Peggy Su. She notes that the Act lays out a procedure and timescales to be adhered to should the leaseholders decide to acquire the freehold in this manner. If leaseholders decide to follow the formal route, the Property Chamber, also known as the First-tier Tribunal, can determine the prices and terms of the transaction if the parties fail to agree. In the case where the property is a house, rather than a flat, the leaseholder’s legal rights will be governed by the Leasehold Reform Act 1967, however, they will still have the two routes to acquire the freehold – namely formal and informal. 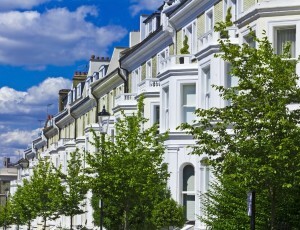 With the introduction of the Commonhold and Leasehold Reform Act 2002, some of the clauses in both the Leasehold Reform Act 1967 and the Leasehold Reform, Housing and Development Act 1993 have been amended, which will impact the specific procedures that each route requires for a successful acquistion of the freehold. If for any reason it is the freeholder who wishes to sell the freehold, they are required to offer it to the leaseholders before opening the offer up to any other potential buyers. This is known as the leaseholder right of first refusal. While leaseholder has the right to ask the freeholder if they can purchase the freehold at any time, the process can be somewhat complicated to negotiate. “Ideally, before any leaseholder decides to attempt acquiring the freehold of the property they should seek out the professional advice of a solicitor and surveyor with knowledge and experience in this area.” Peggy Su concludes.